Though I've spent more than 25 years in marketing, truth be told, I still don't understand what people really mean when they talk about "go-to-market strategy." I'm not quite certain what a "marketecture" is, and almost any marketing term that starts with "integrated" is likely to confuse me as well. I confess that I fall into the same trap, using this marketing jargon when I'm not careful. However I do try to use plain English so that I know that folks know precisely what I'm talking about. Sometimes I run a draft by my dad, an architect, just to be sure. So let me take a run at one of those marketing terms here: "value proposition." Simply put, it explains who would pay money for a product or service and why. Which gets me to the issue of the value proposition and SaaS. In developing an effective value proposition for their SaaS solution, marketers need to address issues that are unique to SaaS. While on-premise application vendors can focus on features already included in the product, SaaS solution vendors must focus on the future as well. They need to win the trust of prospective customers and convince them that the solution will be enhanced regularly over the course of the subscription. Provide a roadmap of planned enhancements and show a consistent record of meeting past commitments. The concept of marketing the promise, not just the product is discussed more fully in "Ten Essentials of Software-as-a-Service Solution Marketing." SaaS vendors should show evidence of their solution's high uptime and provide service level agreements to back-up their promises. They should establish procedures to notify customers when service will be down for scheduled maintenance and to communicate with them in the event of unplanned outages. Hint: Posting a service outage notice via the application, which the client is unable to access, isn't an option. Prospective customers will have legitimate concerns about the security of their data in the SaaS environment. SaaS marketers should address data location, segregation, encryption, access control and other concerns in order to gain the confidence of the IT professionals. And they're wise to engage with IT early in the sales cycle. 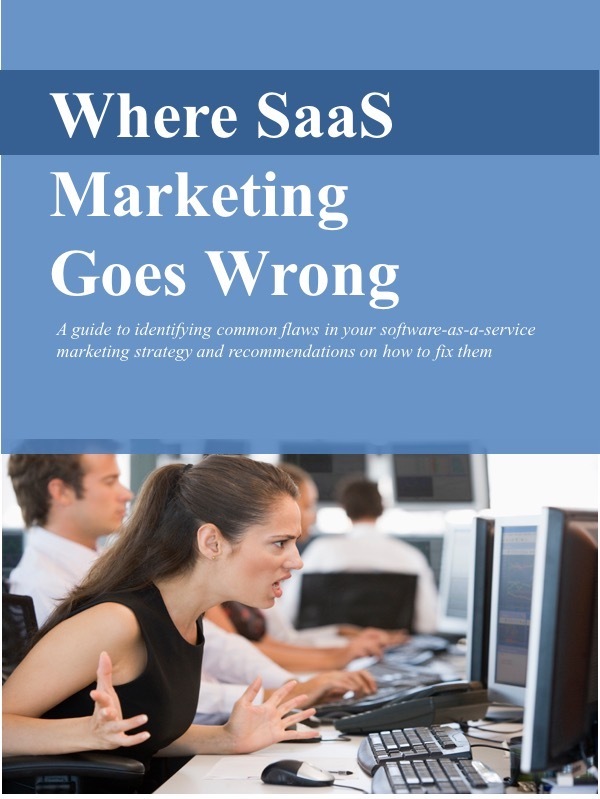 SaaS marketers need to show the cost advantages of SaaS over on-premise applications. Their calculation should include all IT-related expenses for on-premise deployment and maintenance as well as the potential financial advantages of an operating expense vs. a capital expense. SaaS marketers should promote the simplicity of their solution, if it applies. For users, it's easy to use and easy to learn. For IT, it's easy to deploy, easy to configure, and easy to upgrade. (More about this at "Market the Entire Customer Experience." SaaS solutions typically have the advantage of flexibility vs. on-premise applications. Tout their ability to quickly scale to meet heavy demand, without the need to carry excess capacity during periods of low usage. There's value in managing unpredictability. Marketers should promote the accessibility of SaaS solutions for remote workers in dispersed locations. There's no need to install and maintain an application on each client, all users are working on the same version of the application, and all data is in sync. There may be more elements to add to this list, but if you start here you'll be heading in the right direction. In fact, you may have developed a "high-value element" of your "integrated go-to-market strategy"... whatever that means.